Stanford Advanced Materials (SAM) is a trusted supplier of high purity Gadolinium (III) Chloride and a wide range of high purity rare earth compounds. 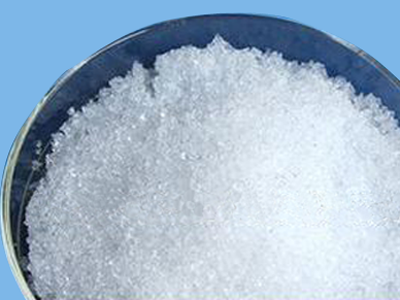 Related products: Gadolinium 2,4-Pentadionate, Gadolinium Acetate, Gadolinium Bromide, Gadolinium Carbonate, Gadolinium Trifluoride, Gadolinium Nitrate, Gadolinium Oxide, Gadolinium Sulfate, Gadolinium Vanadate. Gadolinium (III) chloride hydrate is a rare earth compound of Gadolinium. It is water-soluble and hygroscopic. Gadolinium is a rare earth element with a high magnetic moment. Due to its magnetic moment, Gadolinium is able to enhance signal intensity by reducing relaxation times. It is also used for semiconductor fabrication and nuclear reactor shielding. When combined with EDTA ligands, Gadolinium can be used as an injectable contrast agent for MRIs. Gadolinium Chloride is used for making optical glass and dopant for Gadolinium Yttrium Garnets which have microwave applications. High purity of Gadolinium Chloride is used for making laser crystal and phosphors for colour TV tube. It is used for making Gadolinium Yttrium Garnet (Gd:Y3Al5O12); it has microwave applications and is used in fabrication of various optical components and as substrate material for magneto-optical films. Gadolinium Gallium Garnet (GGG, Gd3Ga5O12) was used for imitation diamonds and for computer bubble memory. It can also serve as an electrolyte in Solid Oxide Fuel Cells (SOFCs). Widely applied in electronic industry and scientific research. Used for extracting gadolinium and gadolinium compounds. Used in phosphors for energy-saving application due to its high purity. Used for making optical glass. Used as a doping agent for gadolinium yttrium garnets. We can tailor-made the products to fit your specific requirements.